A bliss after a stressful work week! Stress has taken a heavy toll on me after a week of jam-packed meetings, reports and corporate activities that I suddenly feel the urge to loosen up and be in a place where I can slow down and breathe. I wanted to go on an out of town trip but traveling could add up to my exhaustion and could make me feel really sick so I’d rather stay in the metro and relax in a posh hotel for a weekend. On a staycation, it’s hassle-free because you just have to book a room, pack your stuff and enjoy their room, pillows, and bathtub. 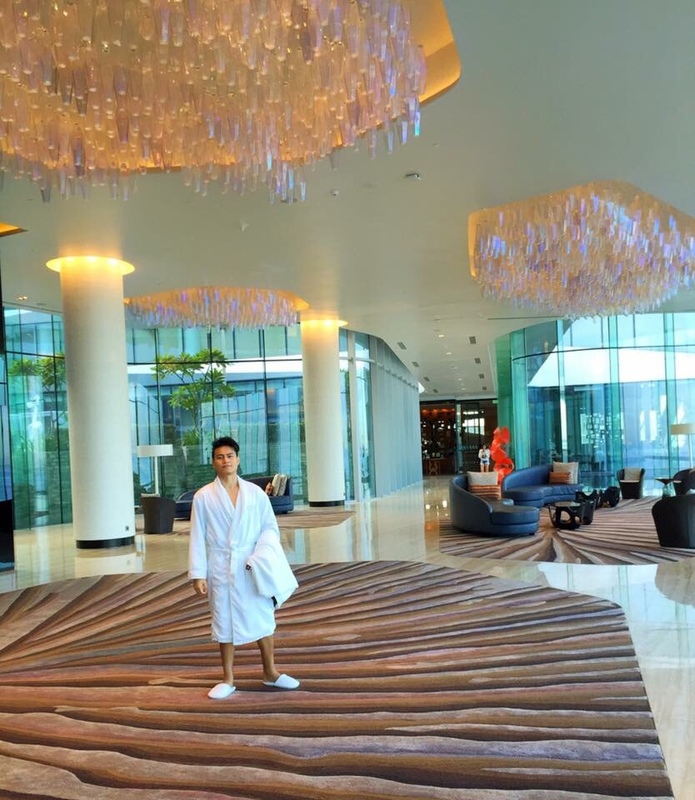 Conrad Manila Hotel is a recent arrival to the chains of hotels in Manila and my initial choice for a quick escape. 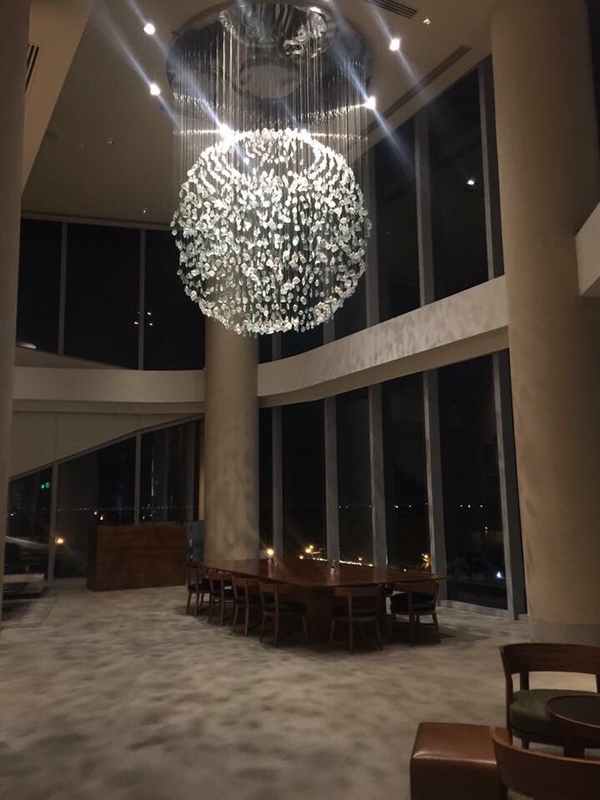 I’ve been wanting to try this luxury hotel since it opened two years ago and I think its spectacular sight overlooking the bay area could be a good way to burn off that stress. One good thing about staycations is you can take it hours later after you’ve decided that you needed a break. 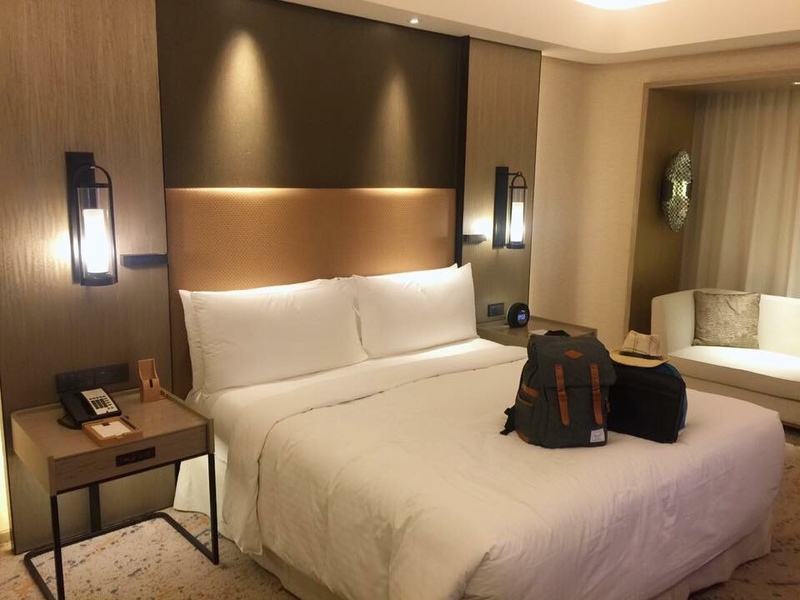 Accompanied by a friend, we checked in and tried this 5-star hotel in Pasay City. 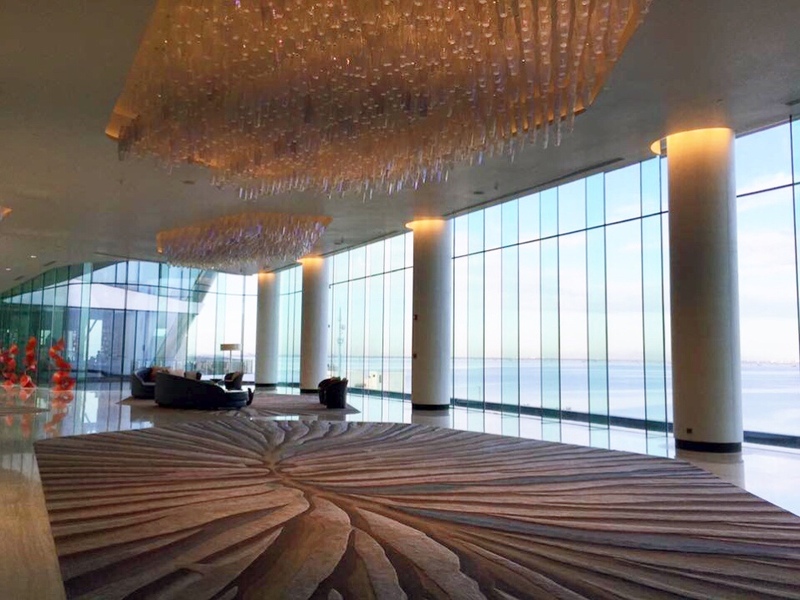 Upon entering their lobby, you will be stunned by the view of the Manila Bay. For a place with this amazing view, floor-to-ceiling windows are a must! 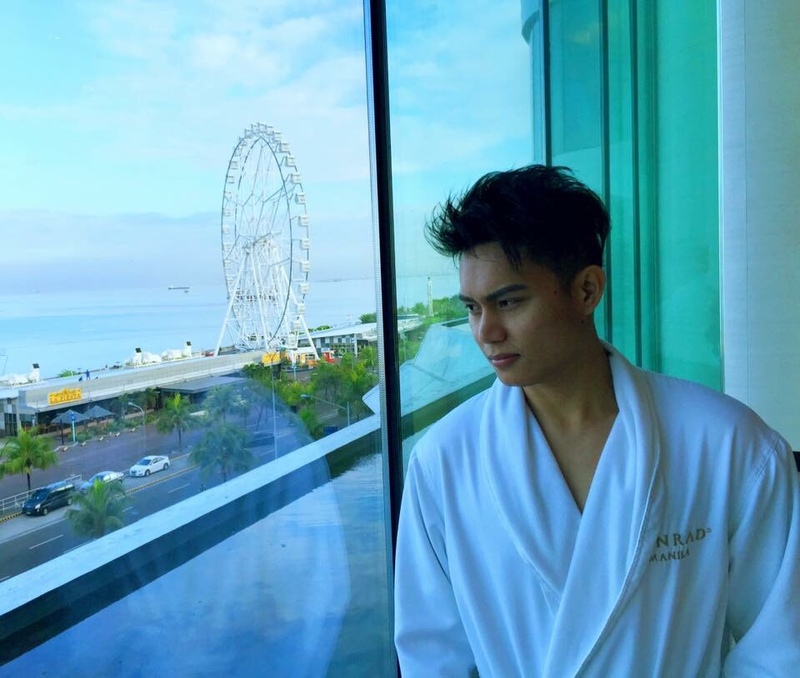 We wanted a bay view room but all are booked when we got there so we settled for the Conrad Manila Hotel city view room. We had a king deluxe room for Php9,800 with a hydrotherapy shower and a generous bathroom. There’s a sofa by the window where we spent some time talking while having a platter of mixed fruits. I love their predominantly all white linens and bedding with a firm mattress and fluffy pillows. The sheets are crisp with 300 thread count just like in other luxury hotels. A heavenly cocoon where I had a really long, comfortable and refreshing sleep. They have really soft and cozy robes that I wish I could bring home. They also provide a slipper that provides a lightweight comfort. Another benefit of staying at a 5-star hotel is you get to wear good stuff. There are a minibar and a coffee maker inside an enclosed cabinet with generous complimentary coffee and tea. There’s also a tiny fridge with a lot of drinks inside. 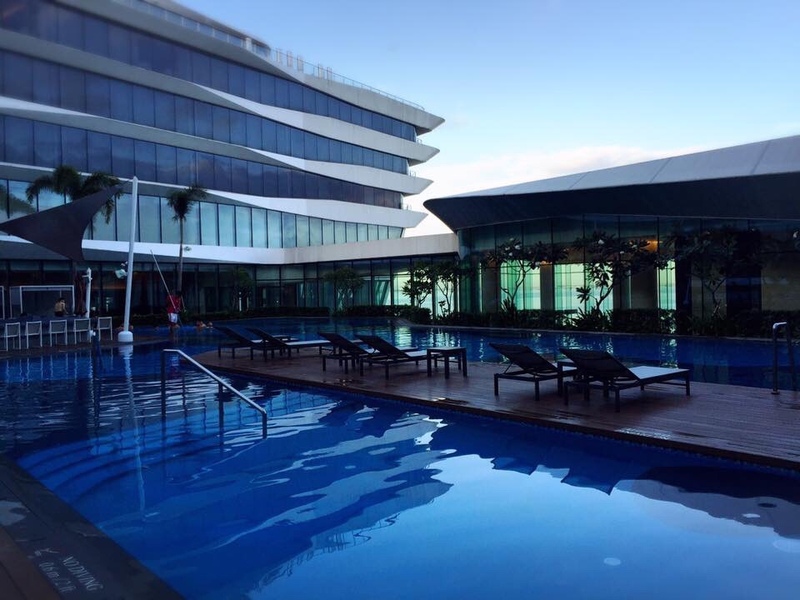 Apart from the picturesque view and the high-class rooms of Conrad Manila, the pool is also a highlight of this hotel. 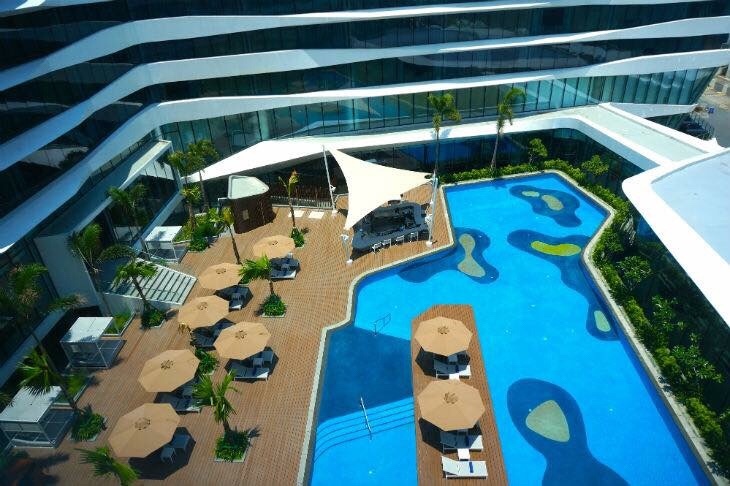 Staycation will never be complete without splashing in the pool. Their poolside has a pool bar where you can relax with a drink and a light snack. 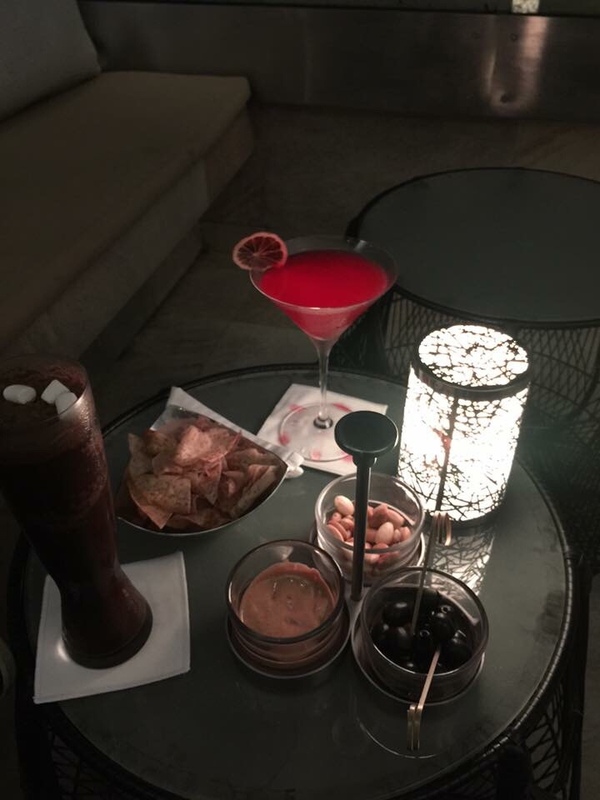 We headed to the lounge for some snacks and evening cocktails. I enjoyed watching the sunset and the city lights. Overall, we had a very pleasant stay. 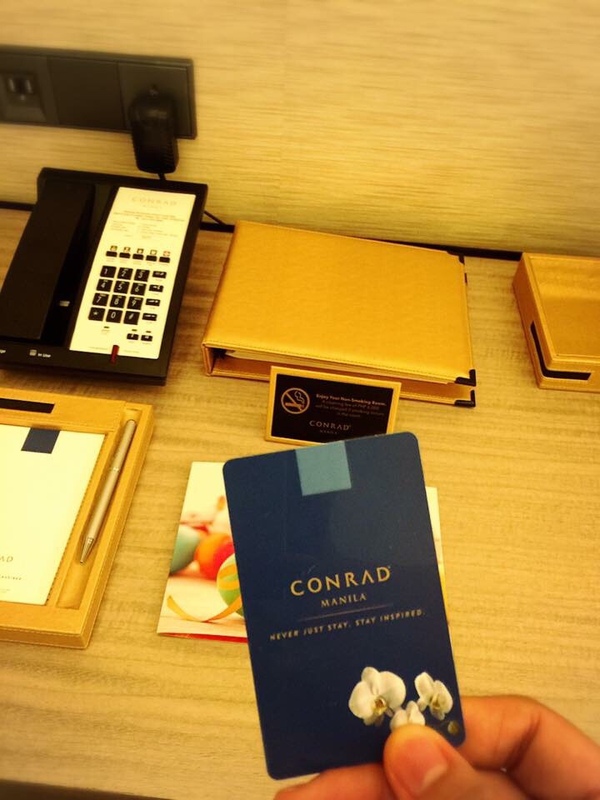 Apart from the picturesque view and premier amenities, the Conrad Manila Hotel staff provided world-class service. 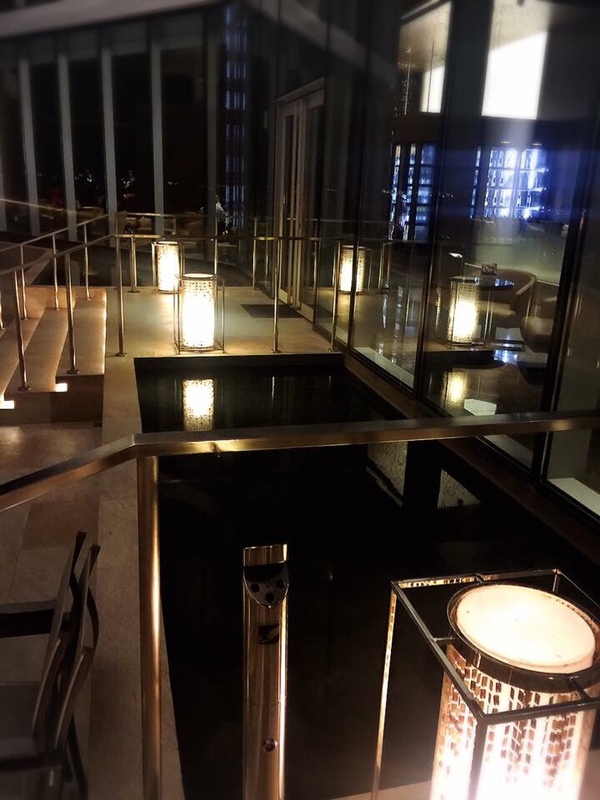 The hotel is connected to Mall of Asia via elevated walkway making shopping and dining very accessible- something worth mentioning. Can’t say enough great things about this hotel. It’s not cheap, but you pretty much get what you paid for. Lol minsan lang naman ako pumunta sa ganyan kamahal na hotel. Yung tamang matry lang. We stayed there when my sister got married on June of last year. I’m lucky to have the corner room where I have a view of both the pool area and the bay. I enjoyed my stay there just like how you enjoyed yours. Good article by the way. Keep it up. If only I could choose a room I’ll get the one that you had so I can enjoy both view. Good to know that you had fun during your stay. Thanks for visiting my blog.